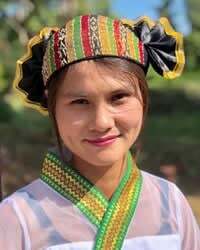 Overview: The Shan are a Tai ethnic group of Southeast Asia, mainly inhabiting the Shan and Kachin states of Myanmar and adjacent regions of China and Thailand. Several subgroups of Shan are included in the Shan people cluster. Theravada Buddhism is practiced by most of the Shan people groups.